Joe was elected to the Society of Illustrators in 1952. In 1967 The Artists' Guild of New York named Joe their Artist of the Year. By this time, magazines were commissioning him to do portraits of well known people. These included a 1968 McCall's fashion article portraying eight presidential candidates' wives; the August 1971 issue of Ladies' Home Journal cover portrait of Rose Kennedy; The Saturday Evening Post cover of Julie and David Eisenhower. 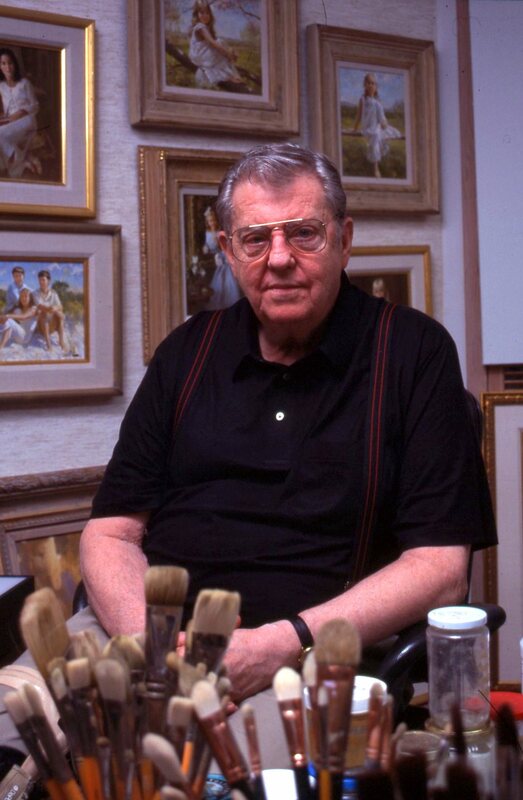 In 1992 Joe was inducted into the Illustrators Hall of Fame. On November 14th, 2016, Joe died in his home on Hilton Head Island, SC. His daughters Jolyn and Brynne and his grandson Coby were with him. He painted almost every day of his adult life and loved doing it. He was a generous soul and saw beauty in almost everything. He adored his wife Marilyn who was his best friend, best critic and truly the best partner he could have had. Please note that all images on this website are the sole property of the artist's estate. No reproduction of these images is allowed without the express written permission of a representative of the estate.